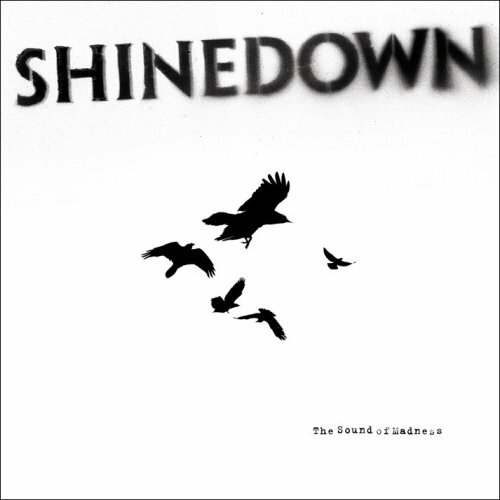 Shinedown's third album called The Sound of Madness was released in June of 2008. This new album of theirs unlike their earlier ones touched on some political topics like in their song devour. Shinedown is an alternative, hard-rock ,and post-grunge band that is now up to its fourth album. They now have up to 6 million sells of their albums world-wide. They originated from Jacksonville, Florida as a four man band. The only original band members left from their beginning four are Brent Smith and Barry Kerch who also write a lot of their songs. A few of these self-written song have a back story about why they were written which add another level of emotion to these already great songs. In The Sound of Madness album that Shinedown came out with, there were only two songs that the members themselves didn't write. Those songs were "Breaking Inside," and "Call Me" both of which did pretty well for themselves despite this. A couple of the songs that they came out with even had stories behind their making. As an example "What a Shame," was a story about the uncle of Brent Smith, who died while they were working on the album. The song tells how Brent and his cousin, dealt with his death. The next song written with a story was "If You Only Knew," which was about Smith's then-fiance and newborn child. This was the first time that Smith had written a love ballad for Shinedown.